who stole my very dim limelight?? Meet my drop-dead gorgeous friend, duyun. Dumplings from The Land of Hornbills. They look so tempting yet you should never judge a book by its cover. 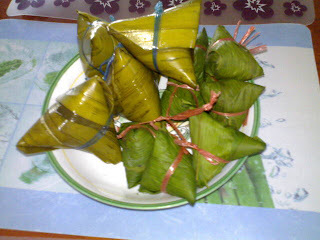 Wrapped in sengkuang leaves and bamboo leaves. 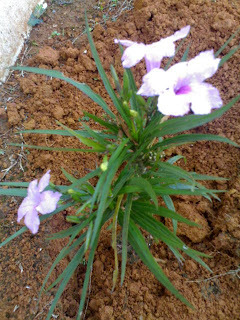 See the green-coloured leaves? 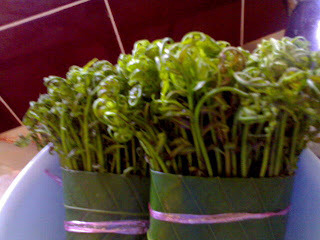 They are actually bamboo leaves. 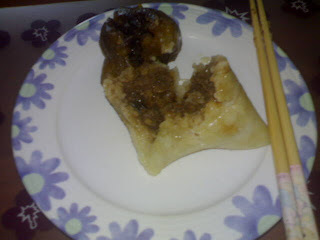 I love dumplings but not Sarawak's. Too used to the food from the western side of Malaysia. Anyone who wishes to try these made-in-Sarawak dumplings just call me. 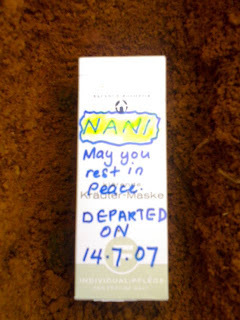 Nani returned home to the Lord yesterday. 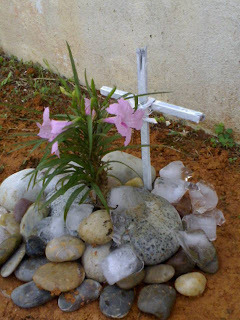 Mom made a coffin for her. The time of demise is unknown. A brief report of Nani's health condition before she left. She had been suffering from fungus disease for many days. She did not consume any food for 16 days and various ways had been tried to heal her but to no avail. May she rest in peace. Happy birthday, dad! We went to Pizza Hut to celebrate. Quite a day out of luck, in my opinion. 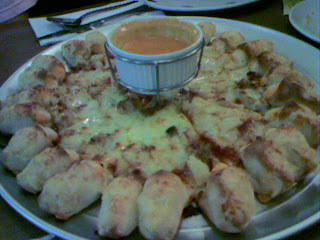 We went to the Pizza Hut at Ipoh Garden first. As we could not find a parking lot, dad decided to go to the one at Giant. We reached there and there were ample parking lots. We walked hopefully towards Pizza Hut and guess what the waitress said? It seemed that their ovens were spoiled and they were not cooking! I mean if they are not planning to receive any customers why don't they just shut their doors? It's funny to think how people do things these days. So, in the end, we went to Tesco Pizza Hut. We were beginning to feel doubtful. I jokingly told my sister, "Maybe all the branches are having trouble with their ovens." However, much to our relief, we managed to order our pizza from there. Here it is! Forgot what the name was. Very, very cheesy but I loved it! 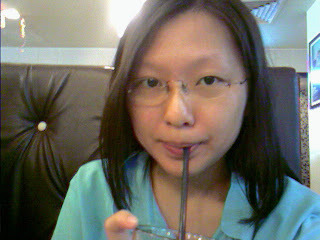 Drinking Pepsi while waiting for the order to arrive. I was so hungry then. Who says Friday the 13th is a day of bad lucks? I earned myself a house today! 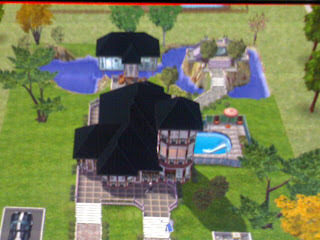 My mom has just built a house on Island Villa especially dedicated to me. 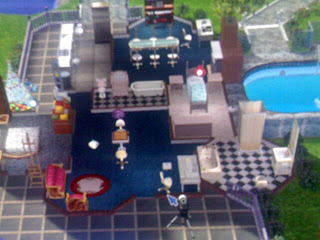 So happy although it's only a virtual house. 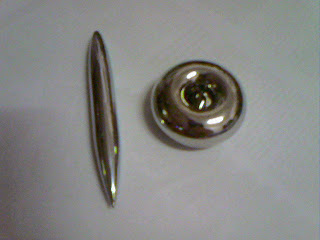 The overall view. Can you see the clear swimming pool behind? Just can't resist the temptation to jump in although it's fake. The interior. With all the basic stuffs a home has. 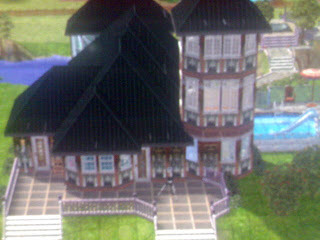 The side view of the house. There's a chimney! Winter is soon to come. Two days ago, this is what my mom cooked. 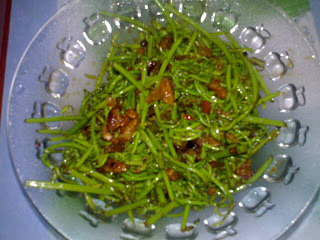 A kind of vegetable which I have never tasted. Midin is its name. Before - "We are going to die! NOOOO....!" After - "Dead already. (+.+)"
MUET RESULT WILL BE OUT SOON!! Bought HP5 tickets for the 11th July night show just now. RM10 per ticket! Just because it's the first day of screening. If I had known earlier, I would have asked dad to buy it next week. It's not really important to be the first to watch anyway. It's too late to regret now since the tickets are bought. I hope it's not a disappointing movie since the tickets are so, so dear. Yoda is not so afraid of us anymore, I think. When I took him out just now, he explored about on the floor. Then he peed on the newspaper when I put him back into the container with his all-time favourite kangkung. I guess he has not gotten off all of his fear. I am sure he will someday. When I took the chopstick out from my hair, I was so glad to see the natural curls. 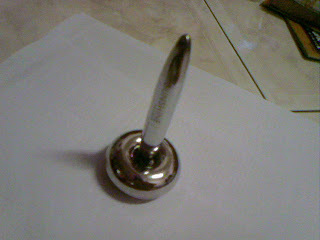 Speaking of saving cost on perming it in saloons. Haha! I know how to perm my hair for future functions now. The day before the function, I would twist my hair into a bun the whole day. Oh, I think I would feel like a geisha doing that. LOL!! This post is up to instill new knowledge to those who loves curls but are reluctant to part with their money. Try it. So many good points in using a chopstick to keep your hair twisted the whole day and get natural curls at the end of the day. You see now why chopsticks are good? Do not be so rigid as to think that chopsticks are only used by Chinese during meal times. Their status has been elevated to being hair accessories too! Another dumb post will be up soon. A few months ago, I participated in the Reignite The Sun contest and I am the winner of the Sunshine Fan Package! Here is what I got. No phone though. 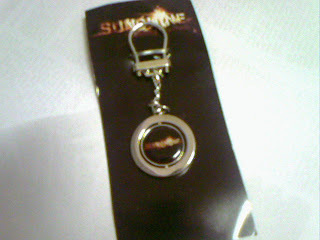 Hehe..
Sunshine keychain. Turn it over and you can see the sun! 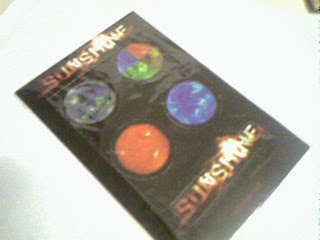 Sunshine playing cards. 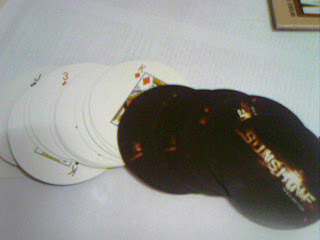 Now I am beginning to wonder how I am supposed to play with these ROUND cards. 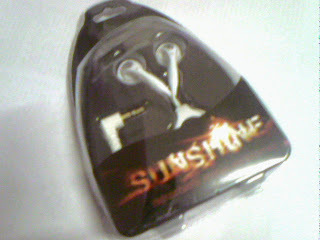 Sunshine retractable stereo earphones! Cool! 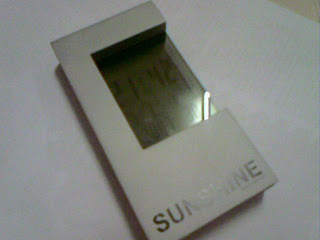 Sunshine Digital Clock. I have a new alarm clock now. There's no need to use the phone again. 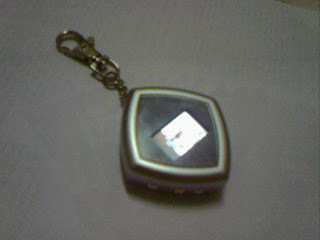 Sunshine mini digital photo frame. This is the coolest thing! I can load all my favourite photos in it! Sunshine hover pen. Something is floating in the holder. Swaying all the way. When the pen is no longer floating. There are seven items all together. I hope I win something from Die Hard 4.0 contest too! !